Earn 458 points upon purchasing this product. DAMAGE CONTROL PROPRIETARY BLEND – 100% Natural ingredients, SLS and Chemical free. Contains, vitamins, minerals, proteins, & antioxidants your hair needs to reverse all kinds of damage. With essential oils like Red Onion, Bhringraj, Vitamin E, Rose Oil , Sandalwood Oil. Shea Butter. Mango Butter, Coconut Oil, Sun Flower Oil, Castor Oil, Jojoba oil , Extracts of Amla , Brahmi, Hibiscus. REGROWTH & HAIR THICKENING OIL – Recommended for Thinning Hair, Weak Hair or Hair Loss Including Balding and Receding Hair. Give your hair the nutrients it craves. It absorbs quickly, making it a perfect hair moisturizer for those dried out, tired ends. A few drops may even protect against the elements. 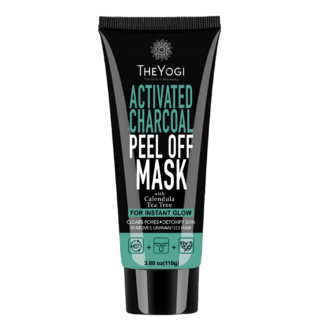 Use as a scalp treatment, hair mask, or deep conditioning hair improving damaged hair on days when you want to show your hair some extra love. WORKS FOR ALL HAIR TYPES. We mean it– textured, curly, or straight; thick, coarse, or fine; color treated or natural. Whatever hair texture you’re working with, The Yogi Complete Treatment Hair Oil is your new go-to for beautifully-styled hair. 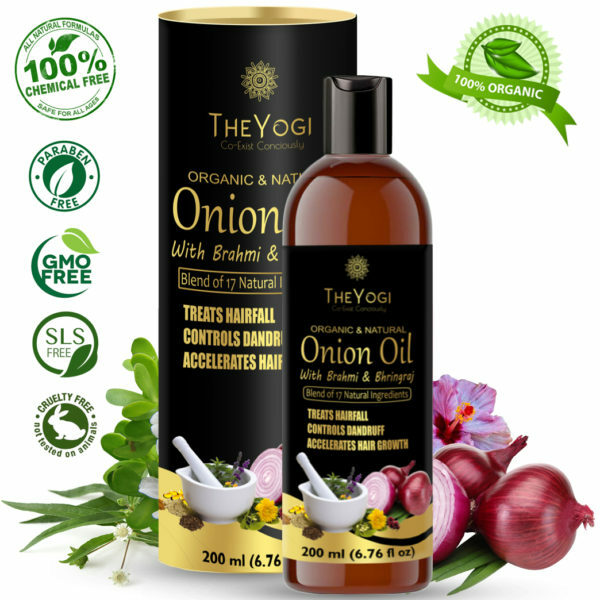 DANDRUFF & HAIR FALL CONTROL Onions have potent anti-bacterial properties and help fight infections of the scalp. This in turn helps reduce hair fall as scalp infections can cause massive loss of hair. Tames fizzy hairs too, wild & untamed are words that should describe you, not your hair. The Yogi Complete Treatment hair oil has your back with an infusion of exotic botanicals, essential oils and vitamins that turn up the shine, lock in moisture, detangle, and fight frizz. 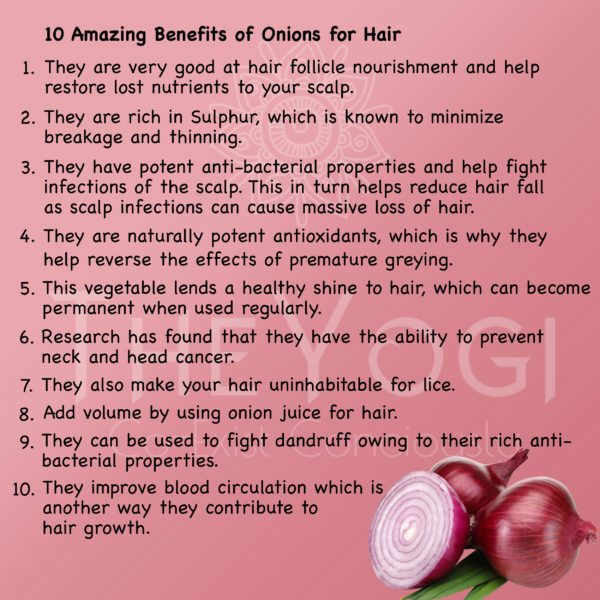 SHINE ON – Onions lend a long lasting healthy shine to hair when used regularly. With its natural, healing properties, The Yogi Complete Treatment Hair Oil will give you incredible results as your hair will immediately absorb its nutrients and thus giving you the best transformation in time. Use 2290 points to purchase this product! 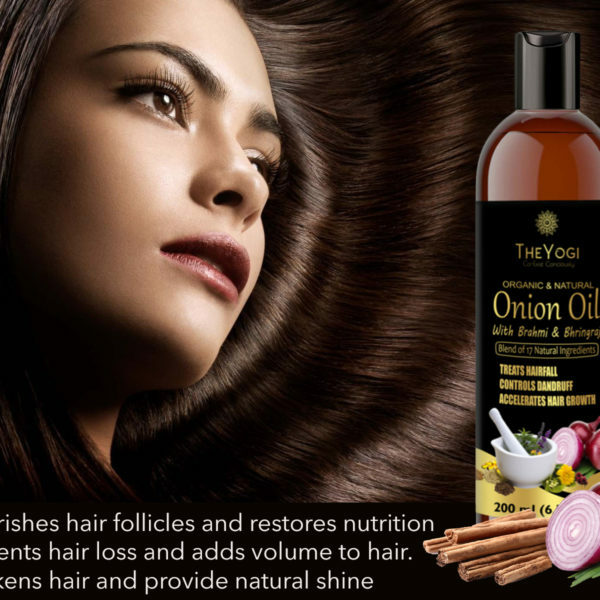 The Yogi Onion Hair Oil Carefully-crafted with the 17 highest quality ingredients. Color-safe and always free of sulfates, phosphates, silicones, and parabens. Healthy Nourishment – Only the best for your hair. 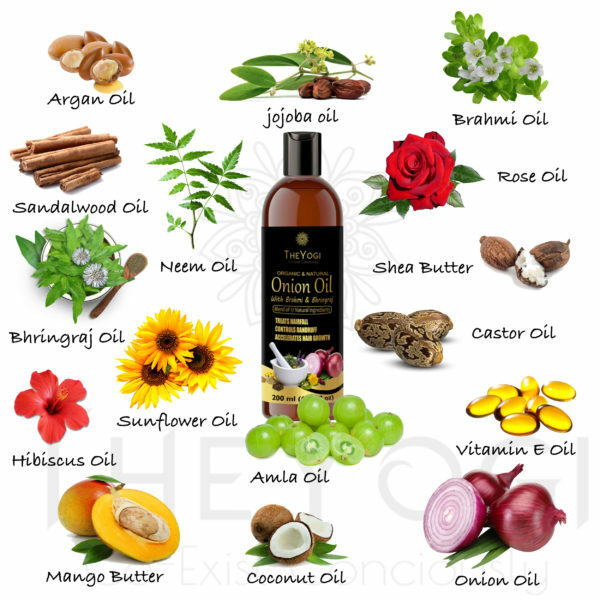 Onion Oil, Hibiscus Oil, Moroccan Argan, Jamaican Castor Oil, Amla, and more. Light-Feeling & Non-Greasy – leave your hair feeling moisturized and grease-free. A little goes a long way. Leave-In Conditioning – Helps to penetrate hair follicles for all-day moisture and no greasy residue. Touchable Softness & Shine – You (and they) won’t be able to help it. Silky Smooth Style – Tame flyaway’s and course, stubborn hairs for a naturally smooth look. Subtle, Seductive Natural Aroma – With Growth & Shine, you can be confident in the light and subtly seductive Aroma of your hair, no matter what the day or night has in store. 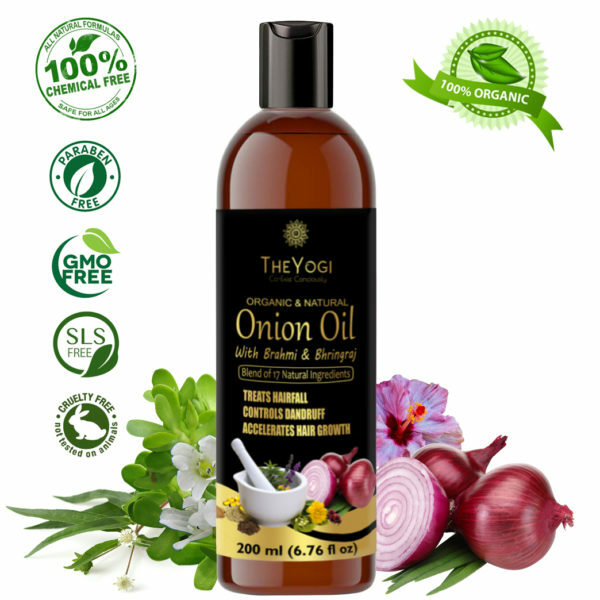 ONION Hair Oil – For ALL TYPE OF HAIR – Ideal to Boost Hair Growth, Anti Hair Fall Control & Removes Dandruff. 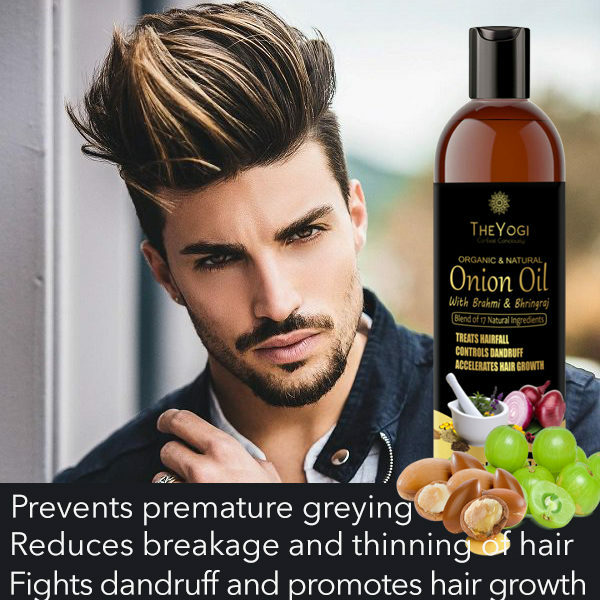 Stop hair fall, hair thinning, hair breakage in just 3 weeks and Re-Grow strong, healthy and dense hair with The Yogi ONION Hair Oil. Each of these multi-purpose Hair Oil provides intense nourishment to the scalp, stimulates hair growth, strengthen hair roots and improves alopecia condition and other Reduces hair loss. 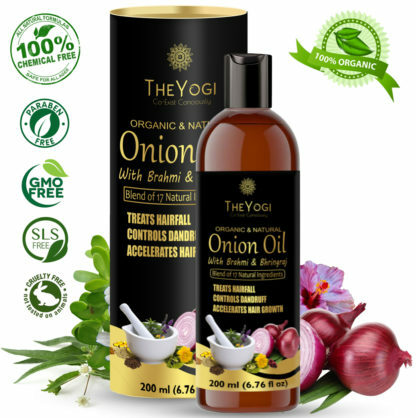 Recently I am kind of obsessed with onion oils and I am trying various brands to get the best one!! Talking about Yogi organic oil! It claims that it is organic and you can get hold of it by the way it smells!! I usually wanted to apply onions directly to my hair but o can’t bear the smell and this came to my rescue!! It has Made my hair so soft!! It also nourishes the scalp! And without the unbearable smell!! My hair was damaged due to chemical treatments but this has improved My hair texture In few uses. Who dont love nice looking bottles on the beauty shelf? I am fan of this oil not only because it is very beneficial to hair but also the value if adds to beauty shelf. This product is free from paraben, sulphate. It contains 17herbs every one of which has different benefits for hair. Jojoba oil, hibiscus oil, onion oil, moroccan argum which is so much beneficial to hair. It reduces dandruff, promotes hair growth, makes hair so mich smooth and shiny. Use it twice a week and see visible difference in 3 weeks. Highly recommended product and yes value for money. You will never regret the decision of buing product.